Planning for Your Rescheck in a Busy Construction Market | $79 RESchecks & Manual Js. $79 Any Plan. Any State. Odds are that your building inspector and building department is understaffed and overworked. You see, during the recession a decade ago there were minimal building permits being pulled. Most building departments are staffed with the revenue they generate so that mean that many assistants, office staff, and field inspectors were let go because of lack of work inside the office. Fast forward to 10 years later and we have one of the most rapidly developing residential construction markets in a quarter century. Millenials are moving into their first home, a lack of new home supply on the market, and a rapidly deteriorating older supply of homes is all leading to a rush to build as many homes as possible. With this comes consequences. In an understaffed building department each time a building permit application is received without the proper paperwork or reports it must be rejected. Then it creates extra work for the builder and in a week or two the building department must inspect it again. This effectively doubles the work of the building department by having to inspect the project twice, and can lead to delays and having your project’s permit application put in the slow lane. How do you make sure from the start that your building permit is complete before turning in your first submission? The answer is pretty simple. Team up with Rescheck.info and let us handle your Manual J and Rescheck so that all your energy reports are taken care of. We designed our entire service by working directly for local building departments so we know exactly what they need. Our reports are so easy to use all you have to do is send us a PDF of your plans and we will send you back a PDF or your Rescheck and Manual J that you just need to print, and turn in to your building department. So you know that you need a building permit and you know you want to make your building inspector’s job as easy as possible. Let me tell you how. Your first step is that you can send me a set of your plans to [email protected] I will confirm the receipt of your plans and instantly plot off a full size set and start your calculations. In 4-6 hours, when your reports are complete, you will receive a recap of your project and an invoice for it. Then all you need to do is click print and you have everything you need to submit your Rescheck and Manual J to an increasingly busy building department. Any questions 865-235-6277 call or text 24/7, 7 days a week. No one has time to submit plans twice, including you and your building inspector. 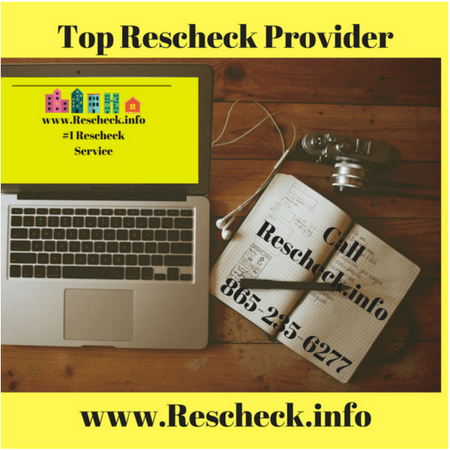 Use the web’s #1 source for Reschecks and Manual J reports, www.Rescheck.info. We treat each project like it is our own and give you an industry wide low price, world class customer service, and a warranty that is unrivaled anywhere in the energy audit industry. Send us your plan today at [email protected] and pay for your reports after they are complete.